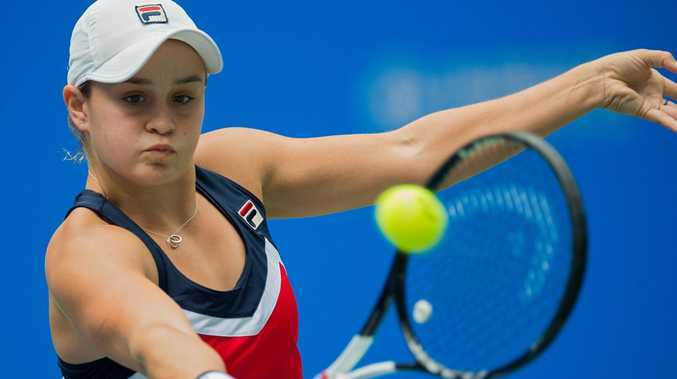 Ashleigh Barty had to dig deep before reaching the final four in Wuhan. Picture: AFP. ASH Barty has an injury battle to wage if she is to capitalise fully on being the only seed left in the $2.7 million WTA Wuhan tournament in China. The top 15 women in the world all entered the tournament but Barty, the 16th seed, was the top-ranked player left after three rounds and closed out a punishing quarter-final on Thursday. The 22-year-old Queenslander took advantage of a loose last game from Russian Anastasia Pavlyuchenkova, ranked No.39, and won their quarter-final 6-2 5-7 6-4. Barty will play Arnya Sabalenka, ranked No.20, in the semi-finals and has a golden chance to win the first WTA premier level title of her career if she is physically able. It would give the Australian No.1, who made the final in Wuhan last year, a $697,000 winner's cheque and 900 ranking points, which would take her to a career-best ranking of No.15, leaping over Serena Williams on the list. "I set the goal at the start of the year that I wanted to stay top 20 - I feel like I'm a top 20 player,'' Barty said. Ash Barty will need to overcome injury after hurting her arm in her quarter-final win. Barty said she feels at home on the Wuhan centre court, even feeling it reminds her of Pat Rafter Arena. The aggression of Pavlyuchenkova in the second set and most of the third asked a lot of Barty before the Russian abruptly conceded her last service game with two forehand errors. John Millman will wait to see if there is one more withdrawal from next week's ATP Tokyo main draw for him to make it before he commits to a flight from Brisbane. Millman, who has not played since the US Open because of a hip injury, said he has pulled out of Tokyo qualifying, which starts on Friday. The Australian No.2's following tournament is qualifying for the Shanghai Masters a week later. Bernard Tomic will be pressing for a return to the top 100 if he wins his ATP Chengu quarter-final on Friday. 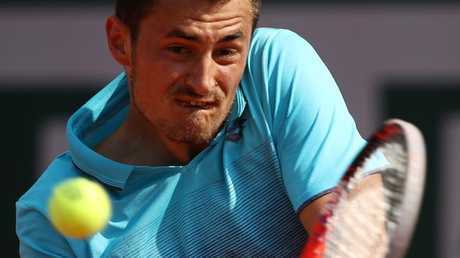 Qualifier Tomic, ranked No.123, has won 11 of his past 14 matches and a win over the talented Canadian Felix Auger-Aliassime would put him close to the top 100 and also direct entry for the Australian Open. In 2018, the Gold Coaster was unable to win through qualifying at Melbourne Park. It was a welcome show of resilience for Tomic, 25, given his history down the years of giving up his scalp easily in some circumstances.